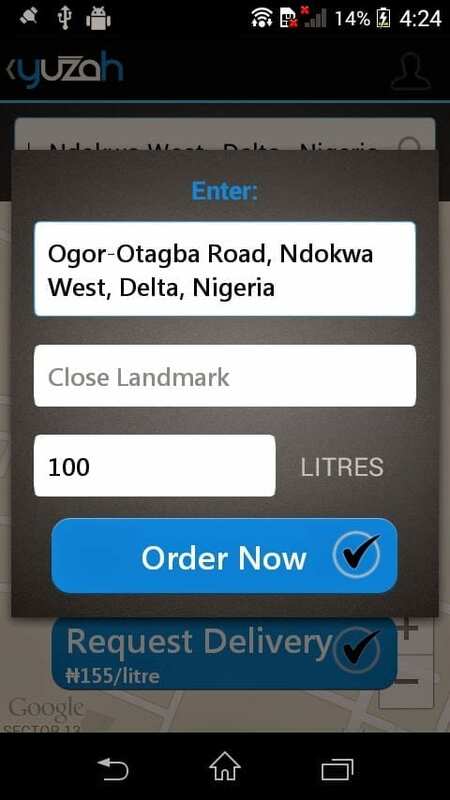 Yuzah is an app that enables you order diesel using your mobile phone. Order using your mobile phone and a truck will deliver it to your location at no additional cost. Yuzah is only available for Android, but I am sure that the developers have plans for iOS, Windows Phone, and/or BlackBerry in the not too distant future. You can download the App at the Google Play Store. Here is the Download Link. When you open Yuzah it shows you your location relative to diesel trucks around you. 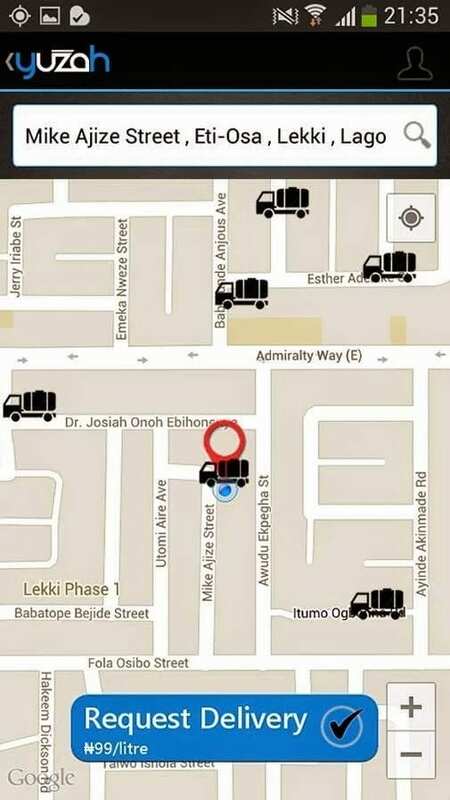 The trucks are shown using the truck symbol, while your location is indicated using the normal location marker. From the image below, you will observe that the one truck is very close to the location marker while another five trucks are within reasonable distance. You can also see the price per litre of diesel. However, Yuzah does not seem to be for everyone, since the minimum amount of litres you can buy is 100 litres. That said, there are lots of businesses that require 100 litres of diesel or more. So, Yuzah is a useful service for a lot of people. 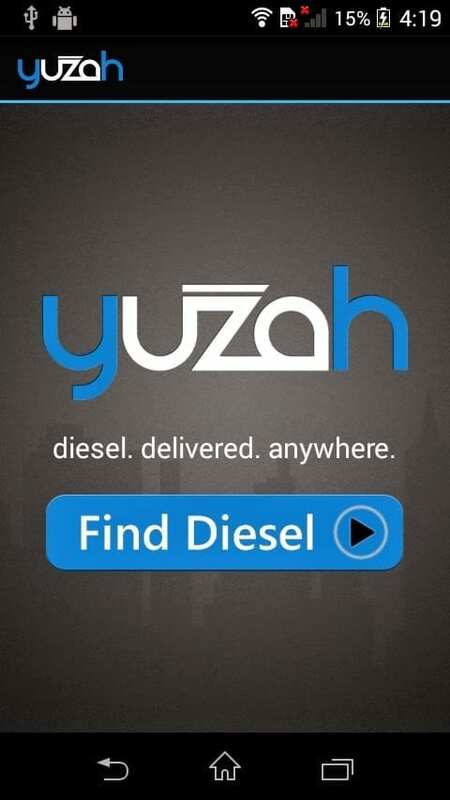 So, if your business, factory, or office require 100 litres or more of diesel on a daily, weekly, or monthly basis, downloading Yuzah is a great idea. 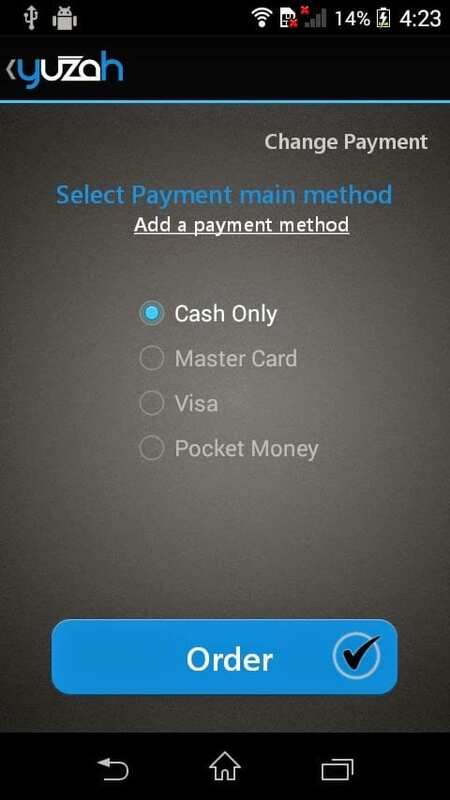 Payment for your order can be paid cash or you can use your debit/ATM card for e-payment. Tryout Yuzah today. You get free 5 litres of disel on your first order.